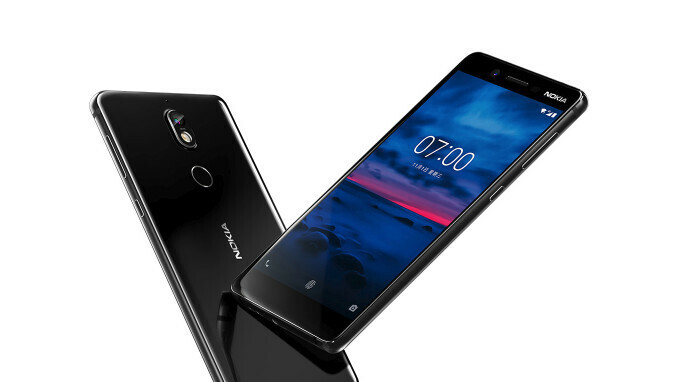 Nokia 7 is one of the smartphones launched by HMD that are exclusive to China. However, rumor has it, the Finnish handset maker plans to release the Nokia 7 (or the Nokia 6 2018) in the United States in the coming months. The phones HMD will launch in the US will feature support for major carriers in the country, but it's unlikely they will support CDMA networks. Moreover, HMD may introduce or remove specific features to make its products compliant (and competitive) with the US market. 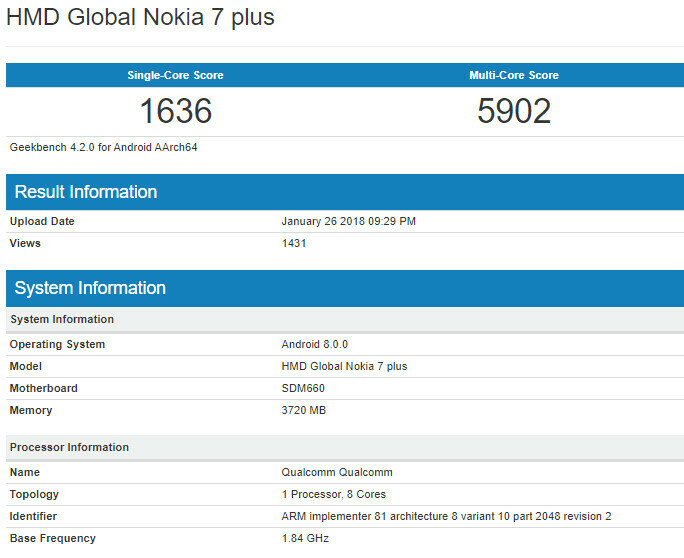 Recently, an improved version of the Nokia 7 was spotted at Geekbench, a benchmark tool with an extensive database of tested devices. The so-called “Nokia 7 Plus” includes a better 1.8GHz octa-core Qualcomm Snapdragon 660 processor, whereas the standard model has a Snapdragon 630 CPU. Also, the smartphone runs Android 8.0 Oreo, which means customers won't have to wait for an update after they purchase it. The listing at Geekbench reveals the Nokia 7 Plus packs the same amount of memory as the regular model – 4GB RAM, but that's about all the info we're offered. It is yet unclear whether or not HMD will launch a slightly improved version of the Nokia 7, but if it does, it will probably make it available worldwide, not just in China. That's why they are sold out again and again! The Nokia 8 scores higher in benchmarks against the X and S8! Nokia phones are good, also they have stock Android which is really fast! A 2018 version of the Nokia 7 would definitely be on my short list!